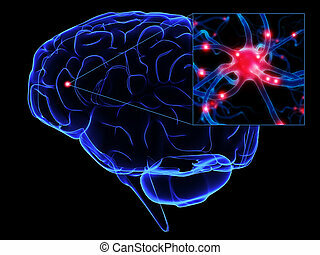 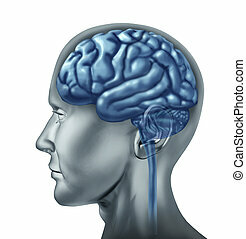 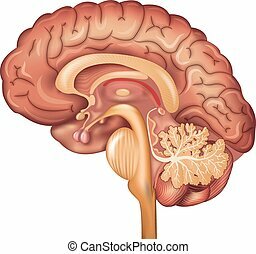 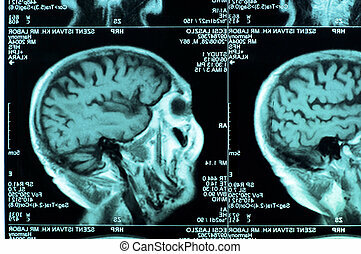 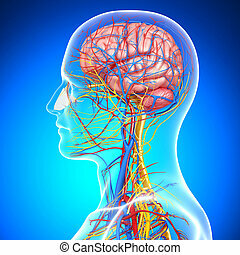 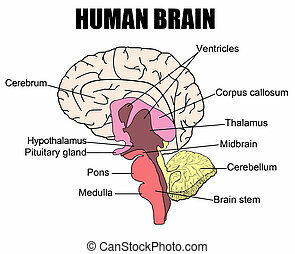 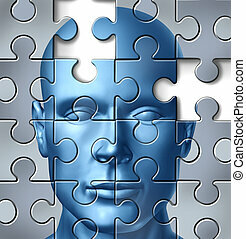 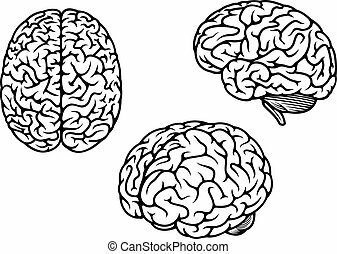 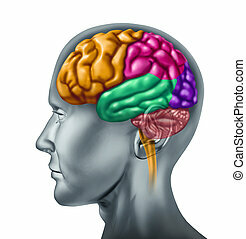 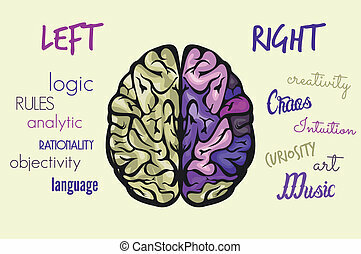 Human brain, detailed illustration. 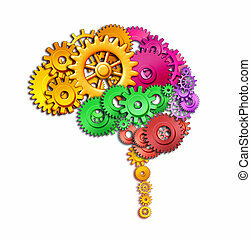 Beautiful colorful design, isolated on a white background. 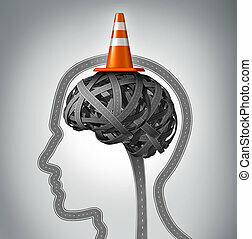 Human brain repair as neurology therapy and memory damage medical concept with an orange traffic cone as a safety hat metaphor on a group of tangled roads in the shape of a human head. 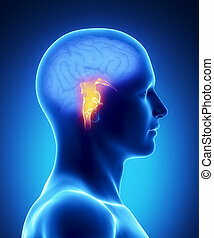 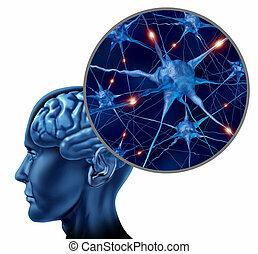 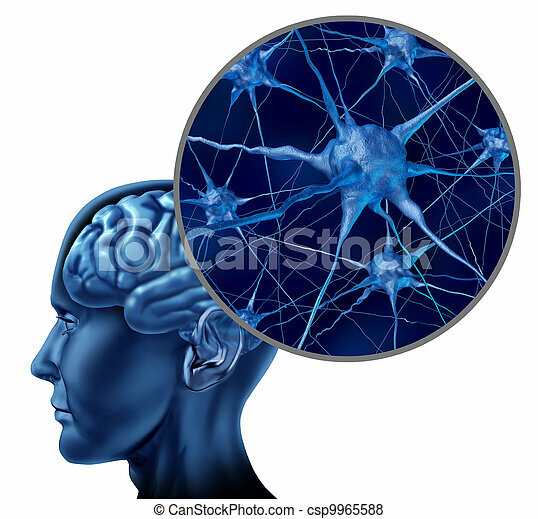 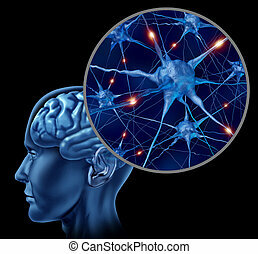 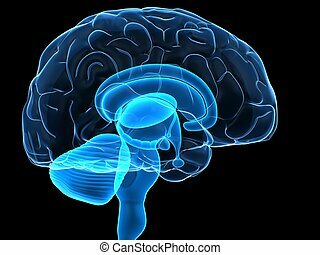 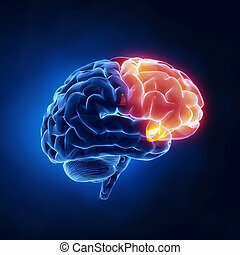 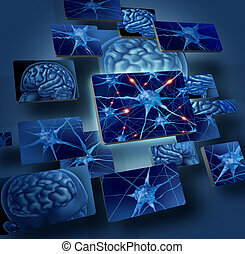 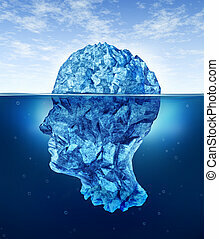 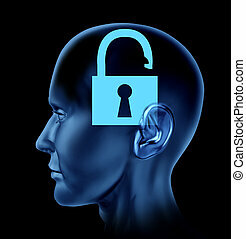 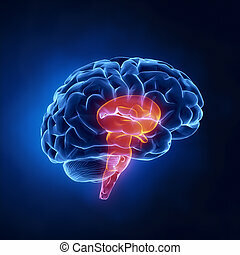 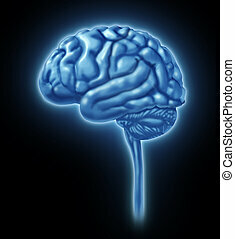 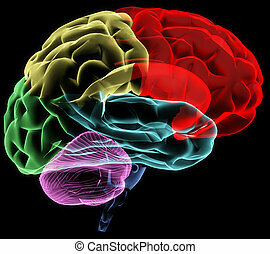 Open mind human brain as a symbol of opened new thinking representing creativity on a white background. 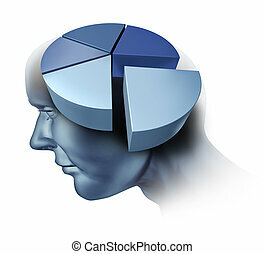 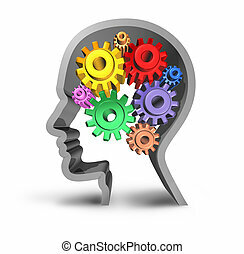 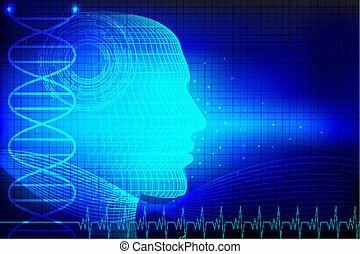 Analyzing the human brain with an illustration of a head and a three dimensional pie chart as a medical symbol of research into the function of intelligence and memory loss or alzheimer dementia disease on a white background.